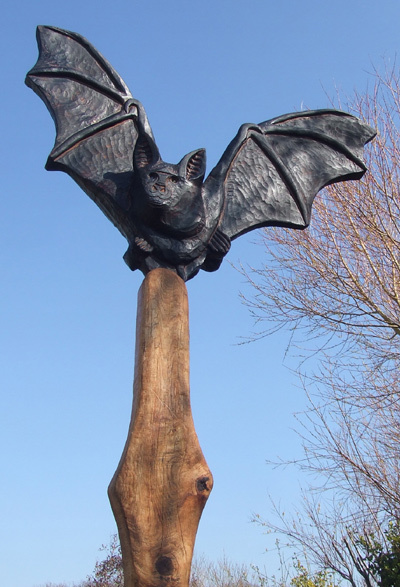 This Greater Horseshoe Bat was created for the forestry commission Garwnant Animal Trail situated five miles north of Merthyr Tydfil by the Llwyn Onn Reservoir. 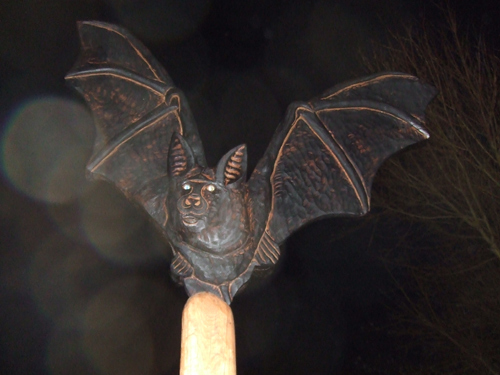 Carved in oak with marbles for it's eyes. 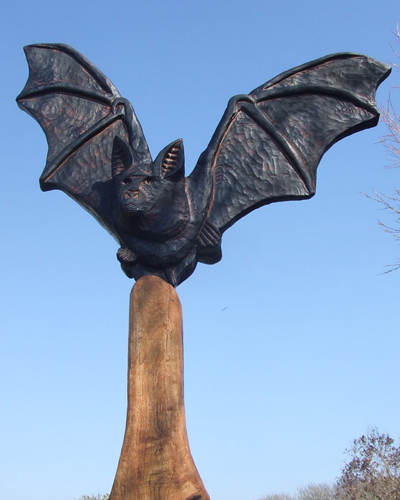 It is one of the ten animals featured on the trail.